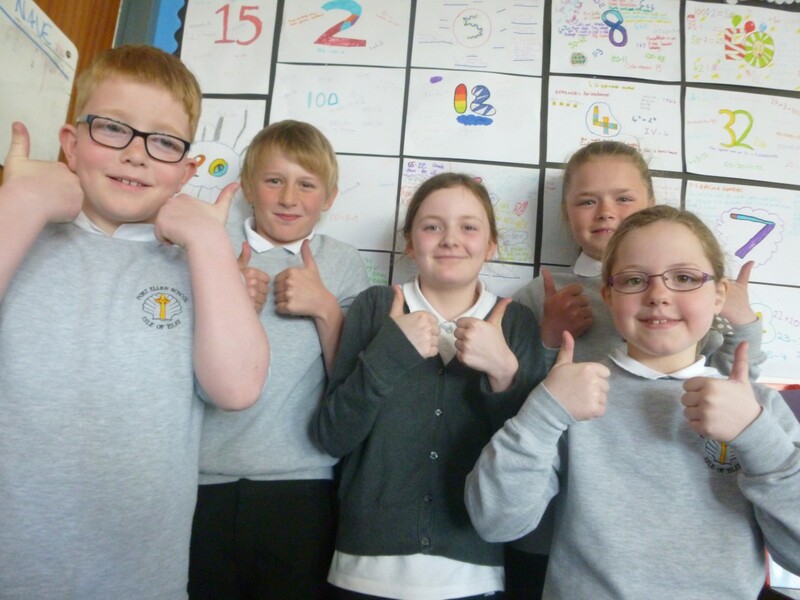 This year pupils at Port Ellen primary school took part in the Scottish Mathematical Challenge where they had to answer problem solving questions 3 times over the year showing their working out. To get a bronze award you couldn’t lose more than 10 points, to get a silver award you couldn’t lose more than 6 points and to get a gold award you couldn’t lose more than 3 points. Rebecca, Katie, Ross and Matthew got a bronze award and I got a silver award missing out on a gold award by only one point! I feel happy because I got a silver I am also very surprised because I didn’t think my problem solving was that good. One of the questions was “Maureen, Alice and Siobhan are three young sisters, in that order of age. Alice is two years older than Siobhan. Each year, their wealthy aunt gives each of them, for each year of her age, as many pounds as she is years old. For example, on her first birthday a girl would receive one pound and on her third birthday nine pounds. The aunt has promised to continue this family custom with each girl until her twelth birthday. This year Maureen received as much as Alice and Siobhan put together. How much will Siobhan receive next year?” I found this quite tricky. There was also a question about a diagram that represents a rectangular net, which is made from string notted together at different points. Another one was about a diving competition where there are 5 judges that each awards a whole-number from 1-10 and you had to work out all the possible scores awarded. It was really challenging but helped me get better at my maths problem solving. There is an award ceremony in June in Glasgow. Next year I will try to get a gold. Well Done all of you, You done great.